Posted by Shane Ryans on October 8, 2012. 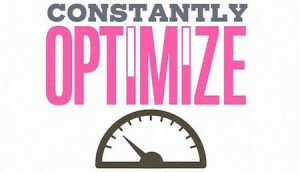 Setting up optimized Google AdWords campaigns is not a ‘one size fits all’ process. Each company offers individual products and services, requiring thorough research to reach the ideal target audience. One of my favorite tools is the Search Query Report (Search Term Report). This tool should be your tool of choice for finding new keyword opportunities and adjusting your negative keyword list. The SQR contains actual search terms that users searched when they found and clicked on your ad. Utilizing this tool on a weekly basis is essential in both keeping your traffic highly targeted and finding new opportunities. For most businesses, setting up an AdWords campaign that is optimized to reduce wasted ad spend, increase conversions, and ultimately, provide a high ROI is difficult due to lack of PPC knowledge. Experts spend years learning all the intricacies of pay per click marketing, split testing, networking with other experts and learn new changes as they roll out. This is typically something that most business owners don’t have the time or desire to invest in, and it is necessary to make sure their advertising dollars are spent appropriately.